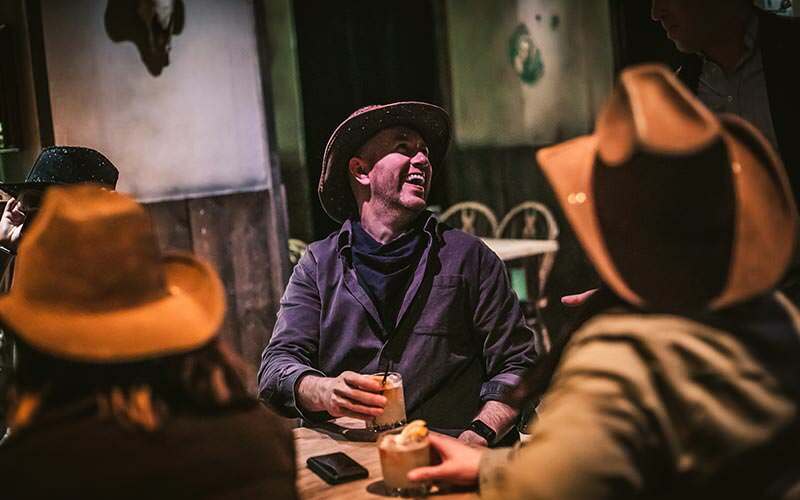 Red Dead Redemption meets West World in this quirky cocktail experience. 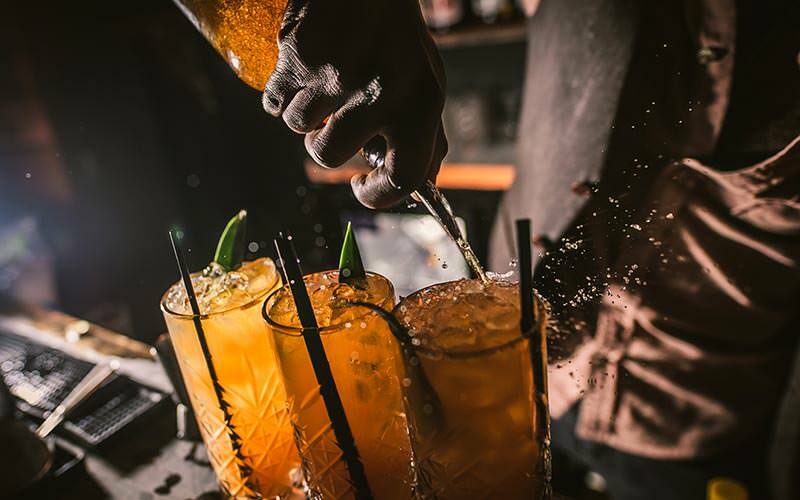 Note: Alcohol is not included in activity price. 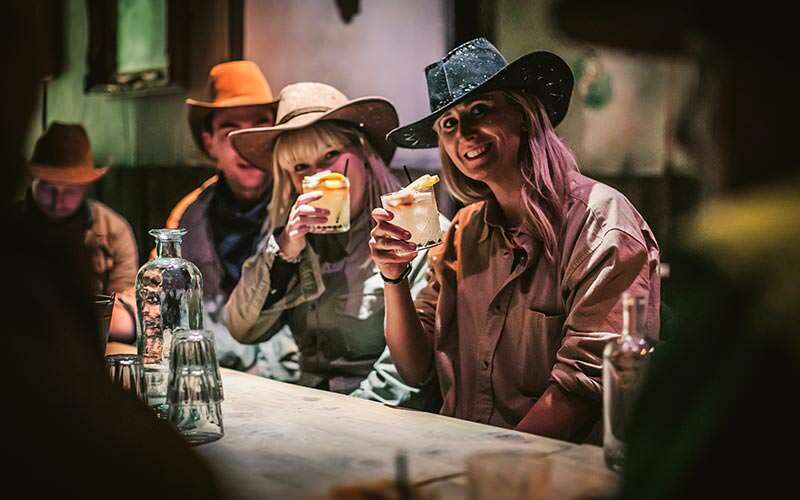 Groups are required to bring their own alcohol to this activity - this has to be in the format of spirits and must be in unopened bottles. 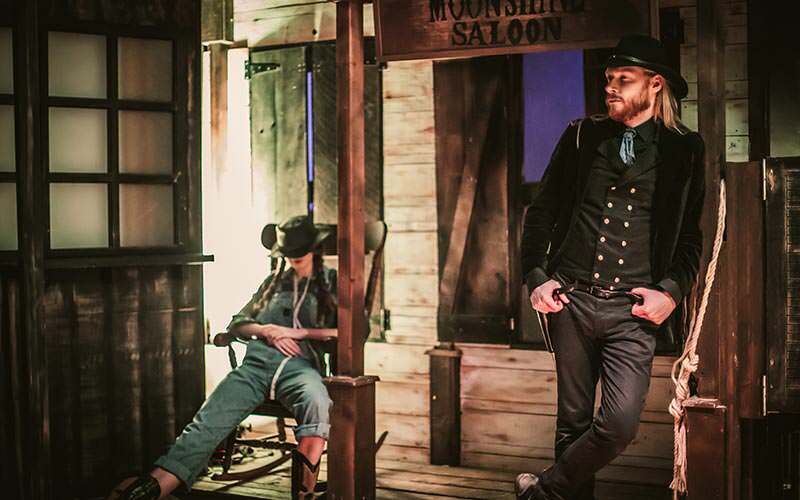 If you’re after something to really impress your group on your last night of freedom in Laandan Taan, how about taking them back in time to a Wild West saloon? 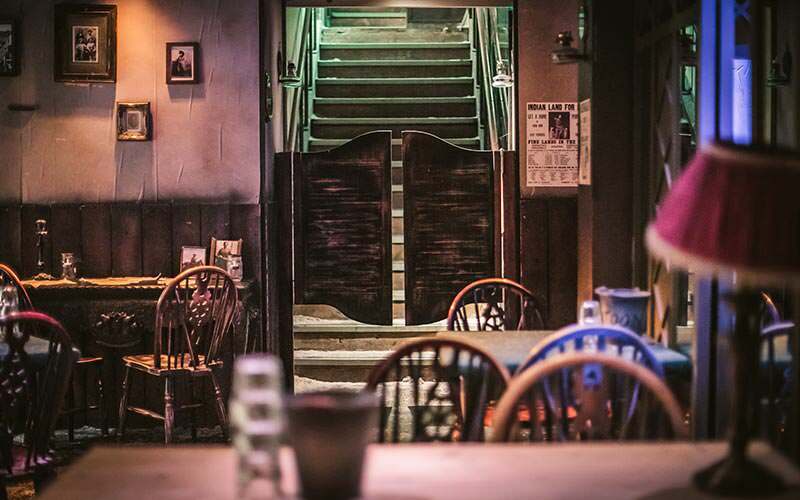 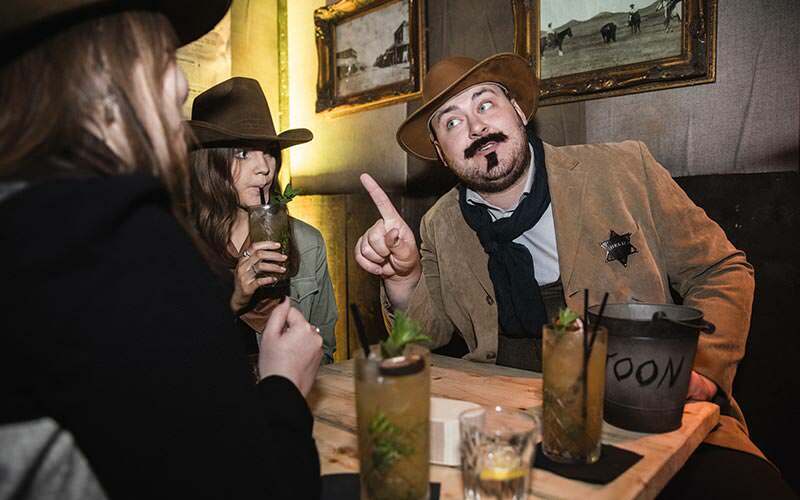 Step off those busy West London streets to see whether you have what it takes to join the greatest undercover empire in this whole rootin’-tootin’ town, the Moonshine Saloon. 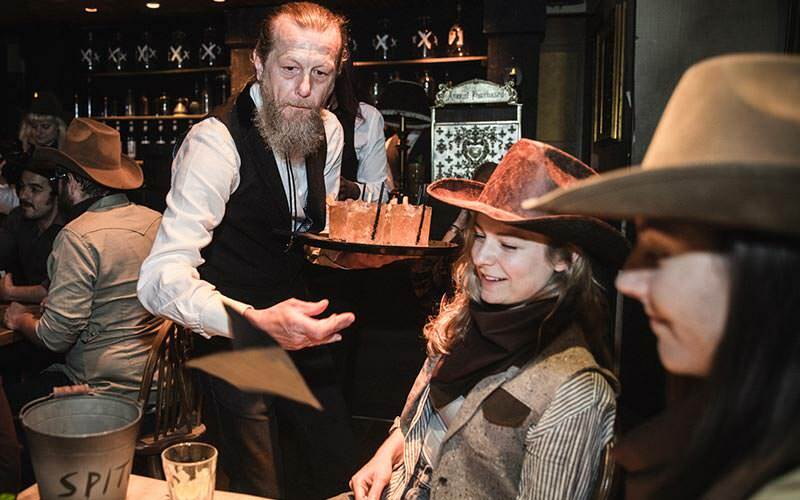 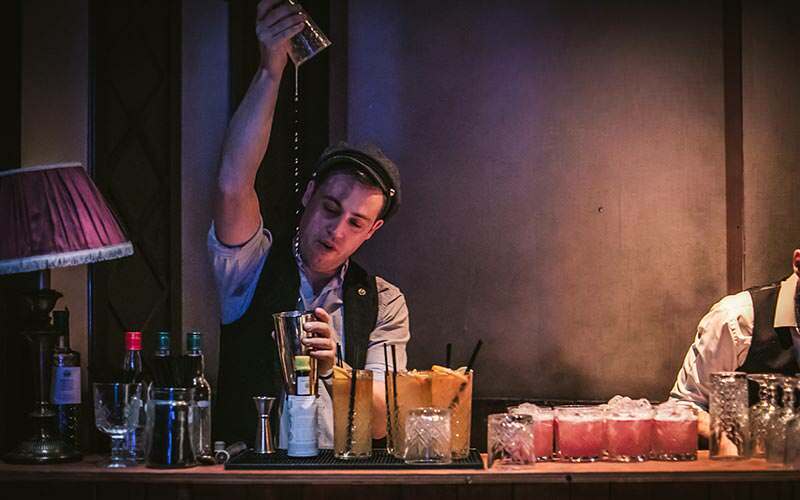 Located on the trendy King’s Road, in Chelsea, this Wild West-inspired Moonshine Saloon is a one-of-a-kind cocktail bar where you can fully immerse yourselves in the spirit of this period in history. 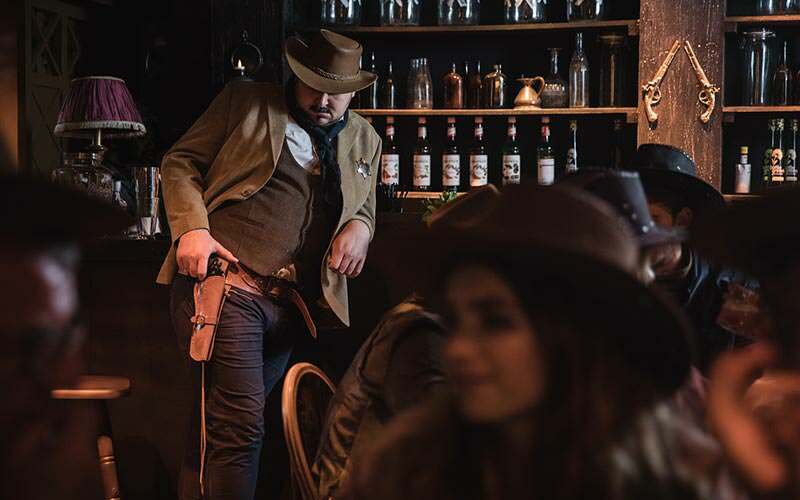 Like any true bootlegger, you’ll smuggle your own liquor past the Sheriff (yep, this place is BYOB) and, to ensure you look the part, you’ll even get your own Stetson and cowboy gear – yeeha! 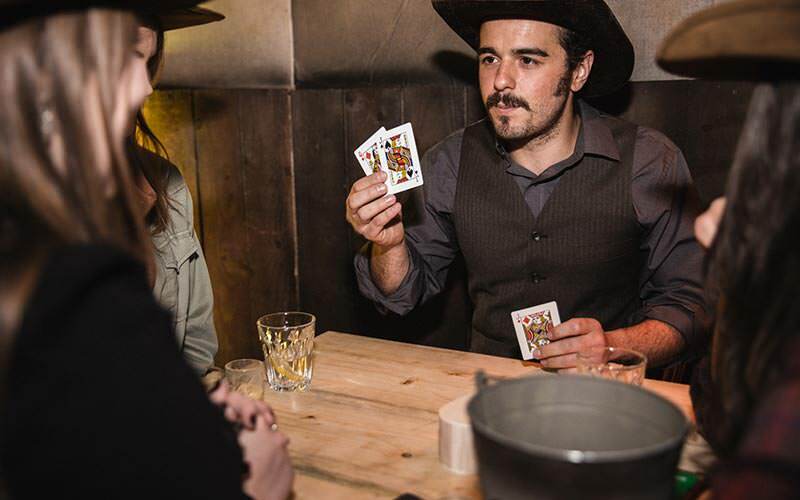 Apart from drinking your moonshine cocktails crafted by an expert mixologist, you’ll chance your luck at card and dice games and exchange tales of the Wild West.